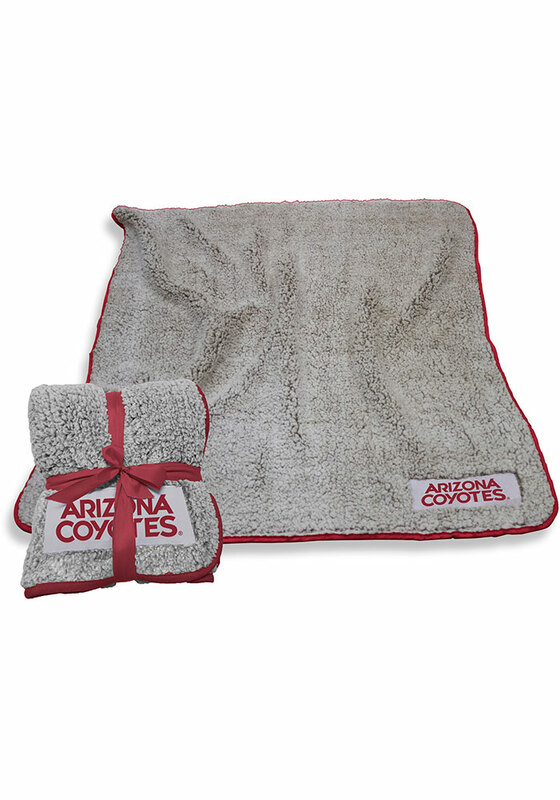 You'll be nice and warm under this Arizona Coyotes Fleece Blanket as you root for Howler the Coyote. This soft Fleece Blanket features a Arizona Coyotes logo. The frosty tipped, high-pile Sherpa material will keep you warm all winter long. The thick color trim and woven patch make for a unique, understated design to show your team affinity. Added bonus: Comes packaged folded and tied with a team color ribbon and bow.